At Scott-Clark we believe that safety and efficiency in the Emergency Department are key to delivering the best service to patients in need. There is no safety without reliability, so the portable power systems for the mobile workstation are designed to have reliable battery power that alerts the user on battery health, charge status, and low battery. The system also ensures reliability because of its hot-swap function, which allows a swap without interruption and its ability to direct electrical energy to the cart from a battery or a wall outlet, while the cart is plugged in and the batteries are charging. This product’s success in productivity is a result of its prioritizing technology. The priority charging and discharging, based on the cycle count and health of the battery, automatically informs the user and charges the battery with the most urgent need, so that energy flow in the workstation remains consistent and reliable. 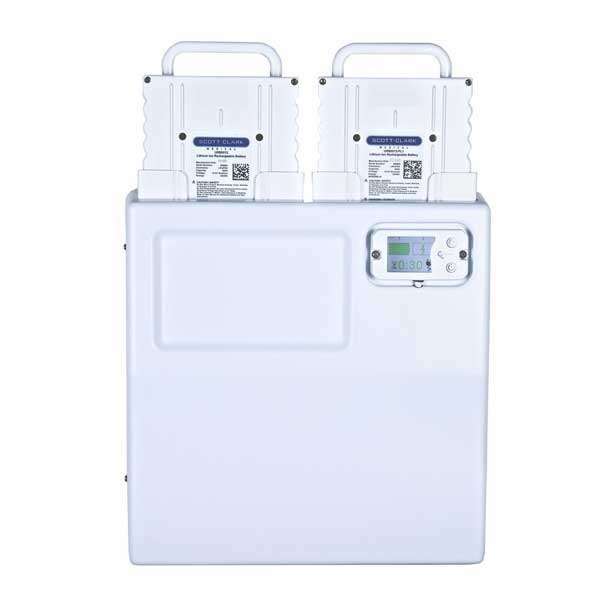 This advanced battery technology allows doctors and nurses to provide quality service with confidence, to patients in need of the most unwavering care, relieving some of the stress that comes with working in the environment of the emergency room. The battery in combination with the easily accessible workstation and medical supply cabinet on wheels allows the medical team to have more time interacting with patients, along with easy access to files, increasing productivity and maintaining consistency. The battery can charge to full energy in only 2.5 hours, releasing about five times the energy in return, because the portable power systems for the mobile workstation provide 8 to 12 hours of power, for the long and busy shifts. 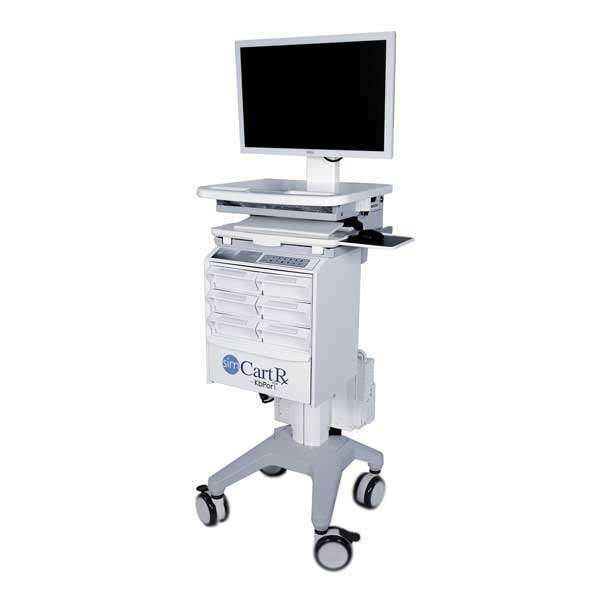 It is not only crucial for the workstation to be efficient but just as essential to be user-friendly for all operating it whether it is as a medical cabinet on wheels integrated with the EHR system to ensure accurate medication administration or a crash cart with peripherals like a wristband printer or a wireless keyboard and mouse. The battery is easy to install, making the transition quick to fit into the time constraints of the busy emergency department. Safety is automatically built in so that medical personnel and patients avoid any electrical or mechanical based injury, a factor that would be extremely detrimental to the emergency department of a medical facility. The portable power system supports electric lifts and popular SFF computers, including those with large displays. There is constant movement of doctors, nurses, and visitors, as well as room changes for the patients in the high tensions of an emergency room. The portable power systems for the mobile workstation allow medical personnel to move swiftly from different rooms and floors of the hospital, while still having access to their electronic files. Patients and visitors also benefit in having doctors appear more personable, as they can stand closely together with the electronic information at hand on the mobile and flexible workstation. There are no wires attached to the workstation, limiting the possibility of a hazard for accidents and injury. Power surges are common in poor weather and in facilities that use a lot of energy, such as the emergency rooms of hospitals. It is for this reason that the lifetime of the workstation is beneficial in saving lives that are most at risk in the emergency department. Doctors will always have access to the files as the prioritizing technology of the battery, and its long-lasting battery provides consistent access to electronic documentation, regardless of whether the electricity is running in the hospital. Scott-Clark keeps you up and running when you need us most!